A new conservatory will provide your home with extra living space that you and your family can enjoy throughout the year. Warmlite conservatories improve the look of your home and provide added value. All our conservatories are bespoke designed, ‘tailor-made’ and built to our very high standards. Whether you require PVCu or hardwood we will design and build your conservatory using the very best materials and glazing. Our conservatory builders in SW London offer the complete service which includes initial advice on the design with drawings provided. We specialise in all aspects of the construction from start to finish, from planning applications where necessary, through to plumbing and electrical requirements and floor coverings. 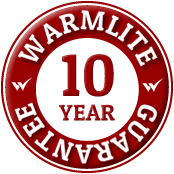 All Warmlite Conservatories are covered by our 10 year guarantee. This gives you the peace of mind that in the unlikely event something should go wrong with your conservatory or conservatory glass, you can get it fixed quickly and conveniently at no cost to you. The guarantee covers material defects in profile materials, panels and conservatory glass units. In the very rare event that a problem develops during the ten year period, Warmlite will simply replace the affected product. For further information about building a beautiful conservatory in South West London, a free site survey with a no obligation quotation or to arrange an appointment.